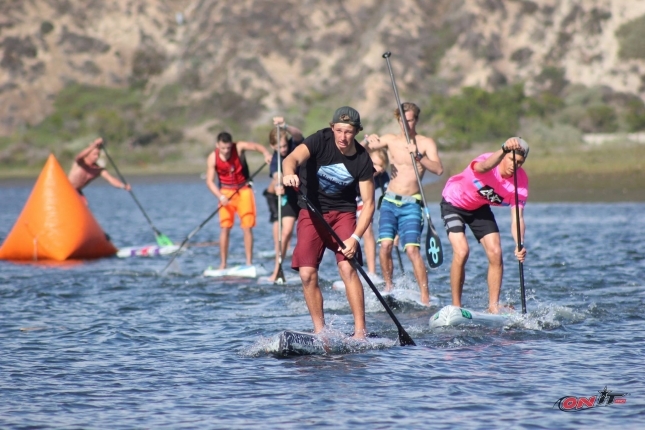 The future of the sport was on show in SoCal over the weekend, with the 2016 Quickblade Junior Pro & Youth SUP Fiesta presented by Infinity providing a platform for the next generation of paddling pros to battle it out. The 4th annual edition of this great event attracted a very talented group from far and wide, with competitors flying in from as far away as Hawaii, Australia, Japan, Peru and Brazil. Saturday was the racing events at the iconic Newport Aquatic Center (NAC), while Sunday saw the SUP surfing just around the corner near Huntington. 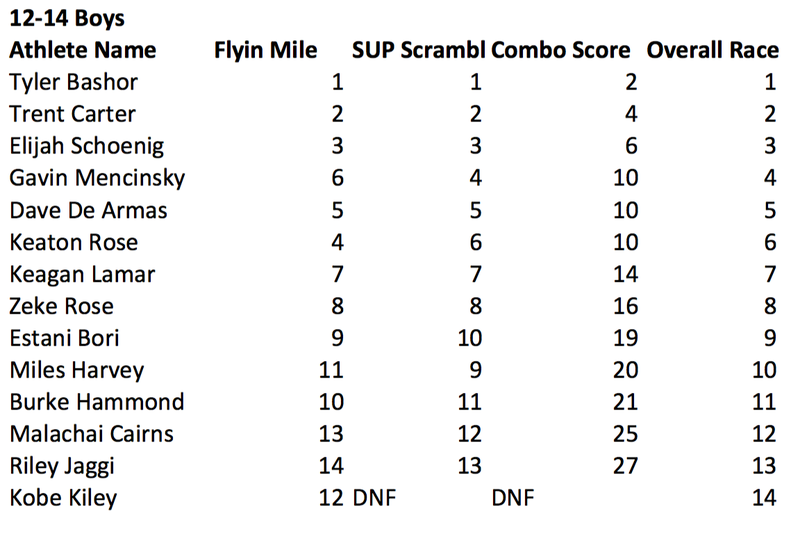 In the hotly-contested boys 15-17 years division, Aussie Harry Maskell edged out one of SoCal’s finest, Noa Hopper (404), after a close contest. 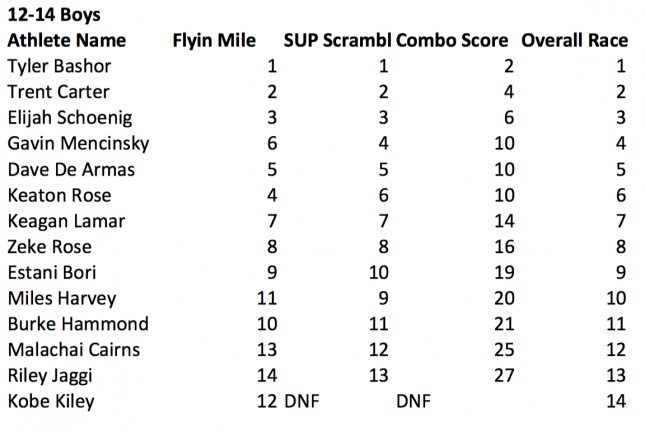 With the “Grand Prix Racing” being a multi-race event, including a short “SUP Scramble” and a “Flyin Mile,” Harry and Noa split the wins while Max Fleming was third overall. 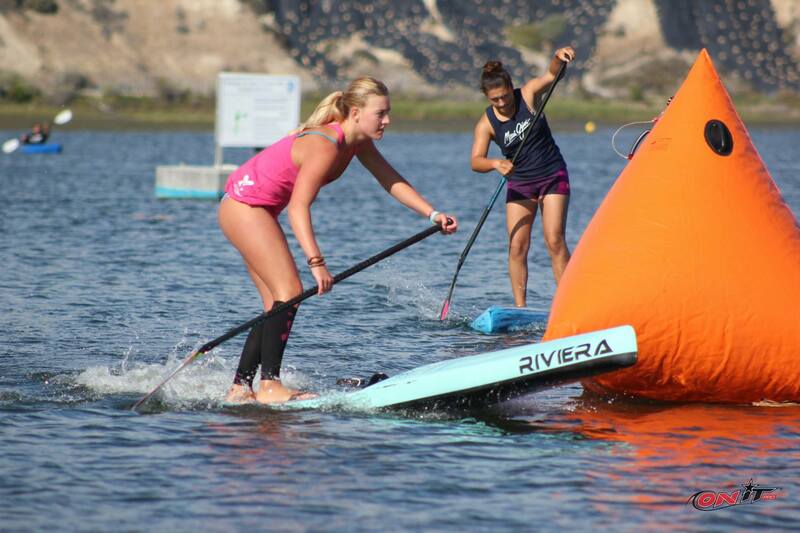 In the girls 15-17, SoCal stalwart and Riviera team rider Shae Foudy was too strong Kali’a Alexiou. Though in a great sign for the future, it was actually the 12-14 divisions that saw the deepest lineups. 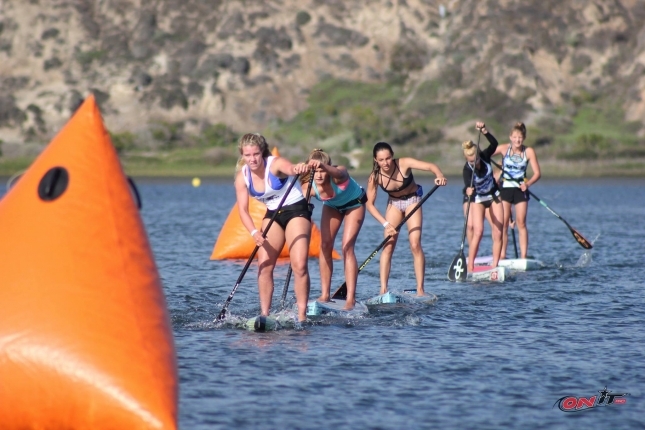 On the girls side it was Hobie’s Lexi Alston, one of the standouts at Doheny seven months ago, who dominated to claim both the Flyin Mile and the Scramble, with other names-to-watch Alex Higginson and Jade Howson, both from Team Riviera, collecting a pair of seconds and thirds respectively. 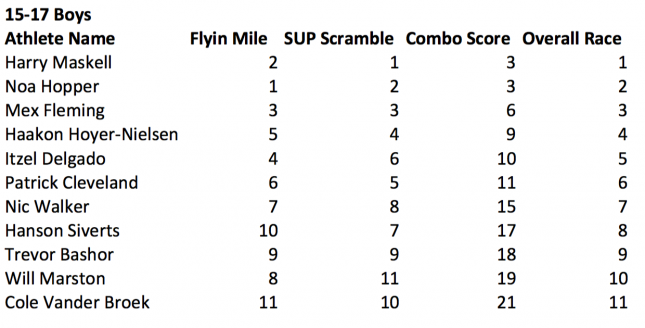 It was a similar result in the boys 12-14, with the podium looking identical in each race. 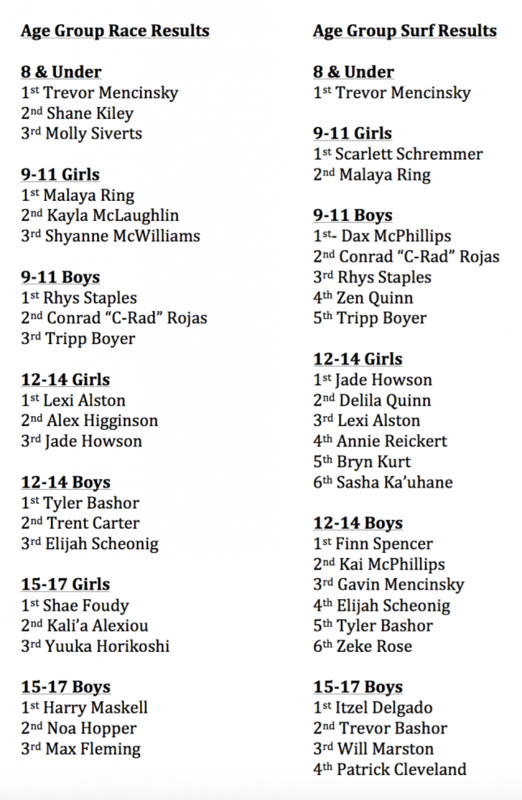 Infinity’s Tyler Bashor made it a clean sweep ahead of Tahoe boy Trent Carter, while Elijah Schoenig took home a pair of thirds. Rhys Staples and Malaya Ring took out their respective 9-11 year age groups, while in the battle of the under 8 micro groms Trevor Mencinsky came out on top. Aussie Harry made it a perfect weekend by taking out the Junior Pro surf contest on Sunday, where he defeated Brazil’s Felippe Gaspar, Noa, and fellow Aussie lad Nic Walker in tricky onshore conditions. In the women’s Junior Pro, Japan’s Yuuka Horikoshi held off a trio of Hawaiian youngsters to claim the title, with Sklyar Lickle, Mason Schremmer and Sasha Kauhane filling the minor placings. 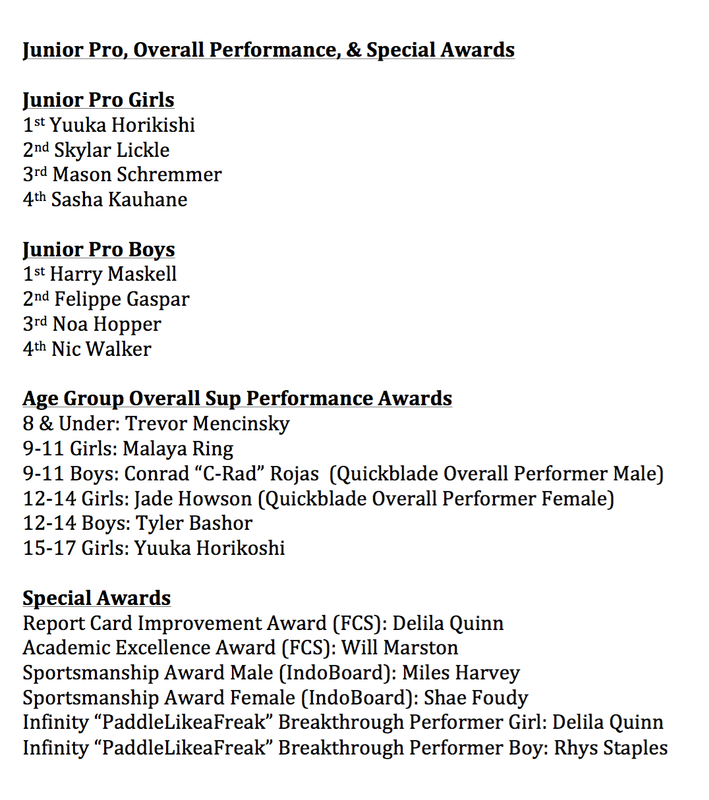 Looks like another great year for this fantastic event, which seems to offer juniors a bigger platform each year. 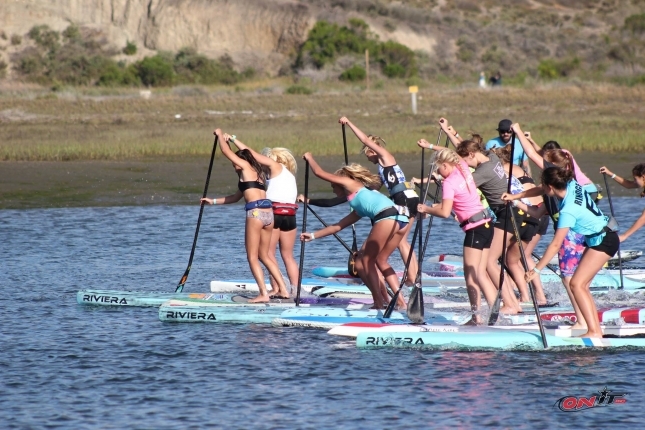 The Youth SUP Fiesta is the brainchild of Performance Paddling founders Anthony Vela and Candice Appleby, and also receives the support of pretty much the entire southern California paddling community. This year Quickblade and Infinity stepped up as the title and presenting sponsors. Full results are below. Want more photos? The always-on-it OnIt Pro has over 1,000 pics (yes, one thousand) up on Facebook already.